During the recent Game of Thrones shooting in Girona, members of the Icelandic band Of Monsters and Men were captured in between the shoot. OMAM have now joined the list of musicians who have played a cameo in the series. Game of Thrones fansite The Watchers on The Wall had posted some photos of shooting for season 6 and one of their readers spotted the band members in the photos. 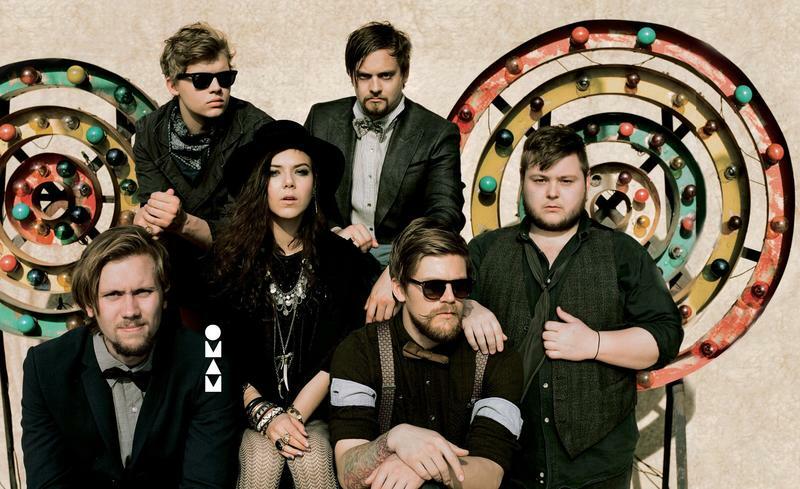 In the above two photos we can see lead singer and guitarist Nanna Bryndís Hilmarsdóttir, singer-guitarist Ragnar “Raggi” Þórhallsson, and drummer Arnar Rósenkranz Hilmarsson. In the past other musicians like Sigur Rós, Mastodon, Will Champion of Coldplay, and Gary Lightbody of Snow Patrol have been part of the show. Will Champion was part of the infamous Red Wedding scene. Sigur Rós played a small role during Joffrey's wedding in which they played the role of a wedding band who performed in front of Joffrey. While the members of the heavy metal band Mastodon appeared in the Hardhome episode as Wildlings who get killed and turned into the dead army by the Night's King.